This week we have a jolly little tune called Reinländer fern Norge. I taught it at Halsway Manor a few weeks ago as a tune that goes higher up the keyboard. 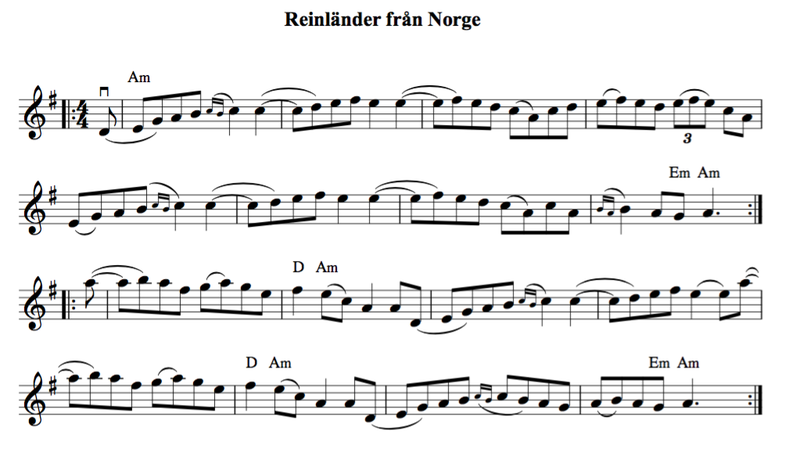 You can find this tune and a harmony line in the Scandinavian Fiddle Tunes - click here! (but it's great for nyckelharpa too as I compiled the book). How Do you hold the Moraharpa Bow?